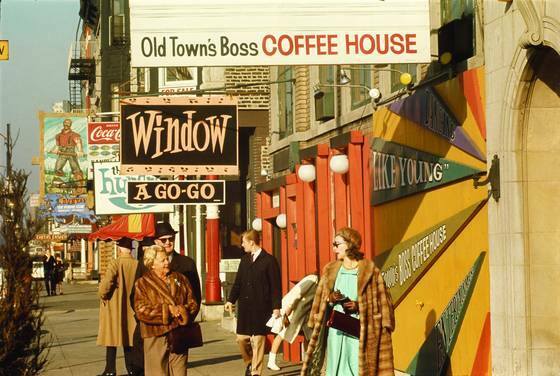 The Digital Research Library of Illinois History Journal™: The Old Town neighborhood in Chicago was "COOL" in the 1950s, 'HIP' in the 60s and 'FAB' in the 70s. This history includes over 50 photos and a 2 hour Miles Davis 1965 concert at the Plugged Nickel. 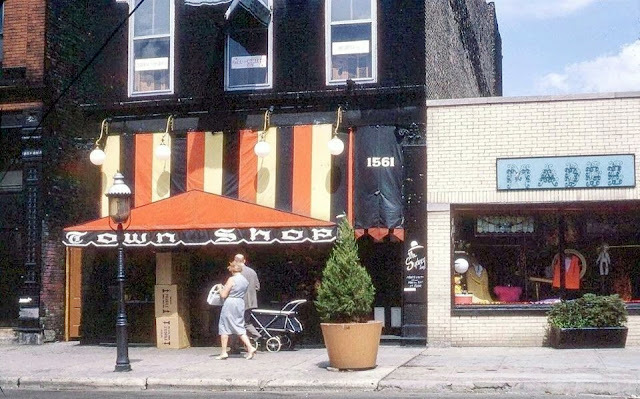 The Old Town neighborhood in Chicago was "COOL" in the 1950s, 'HIP' in the 60s and 'FAB' in the 70s. This history includes over 50 photos and a 2 hour Miles Davis 1965 concert at the Plugged Nickel. In historical writing and analysis, PRESENTISM is the introduction of present-day ideas and perspectives into depictions or interpretations of the past. I believe presentism is a form of cultural bias, and it creates a distorted understanding of the subject matter. Reading modern notions of morality into the past is committing the error of presentism. I'm well aware that historical accounts are written by people and can be slanted, so I try my hardest to present articles that are fact based and well researched, without interjecting any of my personal opinions. 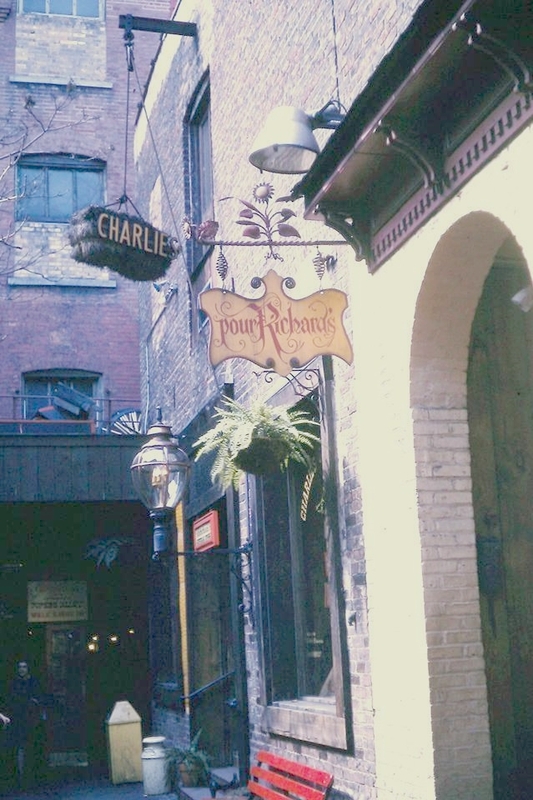 In the late 1800s and early 1900s, today's Old Town area was known as "Cabbage Patch" from the German immigrants that grew potatoes, celery, and cabbages on the marshy land. 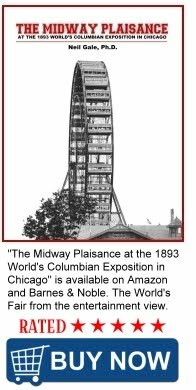 The area was then called "North Town" (not Nortown) as it straddled North Avenue, which at that time, was the northern boundary of Chicago. 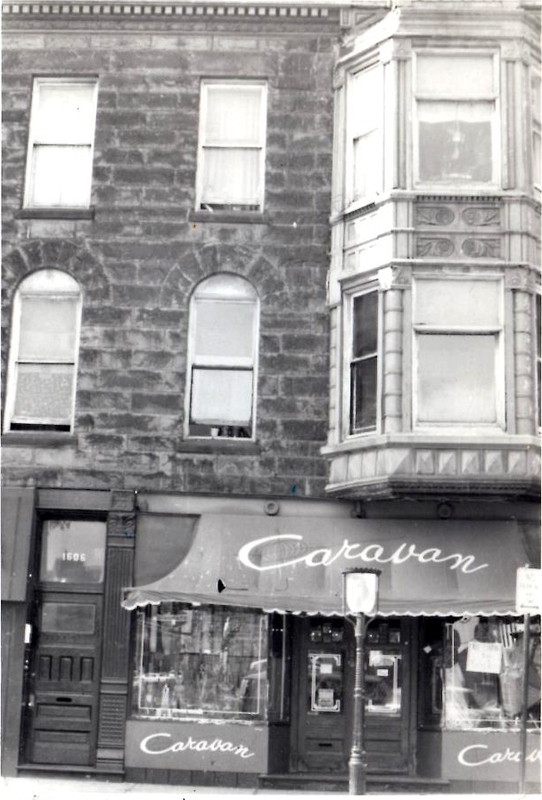 On October 14, 1948 about 25 neighborhood residents met to discuss improving what was referred to as Old Town (the attribution of which is generally credited to Charles Collins of the Chicago Tribune in 1944). 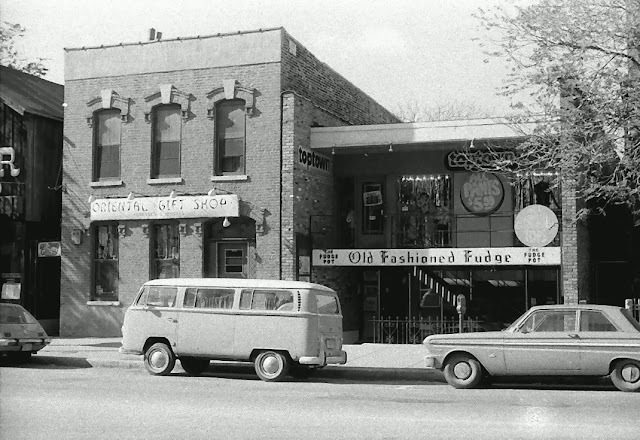 At that time the “founders” referred to themselves as "The Clark, Ogden, North Triangle," later shortened to "The Triangle" until September 20, 1951, when members voted to officially change the name to the "Old Town Triangle Association," which was initially sponsored by the North Side Planning Council, a Chicago city agency. 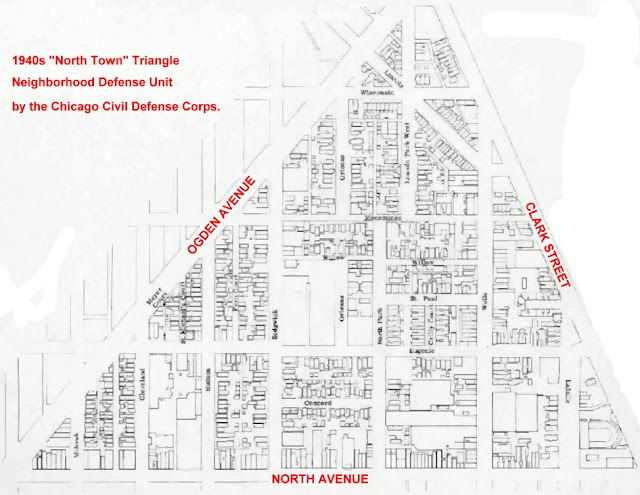 During World War II, the triangular area bordered by North Avenue, Clark Street, and Ogden Avenue, which ran up to Lincoln Park until the 1960s, was designated a “neighborhood defense unit” by the Chicago Civil Defense Corps. 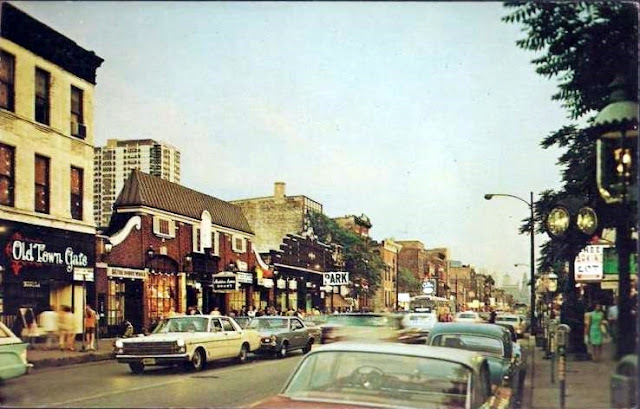 NOTE: According to a 2008 Tribune article, Old Town is bounded by Division Street (south) to Armitage Avenue (north), and Clark Street (west) to Halsted Street (east). The first President elected to the Old Town Triangle Association was was James Beverly. Helen Guilbert and Sara Jane Wells were two of the movers and shakers regarding trees in the Triangle. plant flowering “Hopa” crabapple trees in 1959. They watered the trees with the help of area residents loaning their garden hoses to water the trees by their houses for the months it took for the trees to stabilize and then letting mother nature take over. When Bob Switzer passed away he endowed the OTTA with funds to improve the parkways in the late 1970s. The Menomonee Boys Club, a not-for-profit organization, was founded in 1946 by a group of concerned Old Town neighbors to “provide wholesome recreation as a means of keeping children off the streets.” Menomonee funding has always been tied closely to the neighborhood. This building is called the Willow Clubhouse opened in 1950, and is the oldest of four Menomonee Club buildings. With the help of the North Side Boys Club, the group rented an Old Town storefront and began offering ping pong, shuffleboard, boxing, baseball, woodworking and choral singing. Membership was 50 cents and more than 100 children joined during the first few weeks. It started out being a boys’ club, with girls allowed in once per week. That didn’t last long. 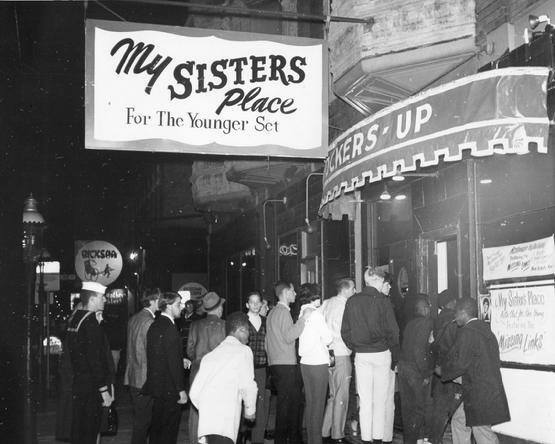 Soon, girls were coming regularly and The Menomonee Club for Boys and Girls was born. Kids gathered to take lessons, play checkers, and just hang out. In 1950, the Club’s director Joe Vitale, discovered a two-lane bowling alley on Willow and The Club was able to buy it for $13,000. Its founding members scraped together a down payment and spent the next four years raising the rest of the money for the Menomonee Clubhouse. When it was finally paid for, a celebration was held – a mortgage burning party! 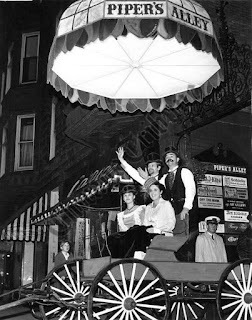 The Crilly Court Apartments held a Jamboree (block party) which predated the Old Town Art Fair, to raise money for a playground. The event was so successful that the Crilly residents decided to expand their mission to include The Menomonee Club and other neighborhood activities. 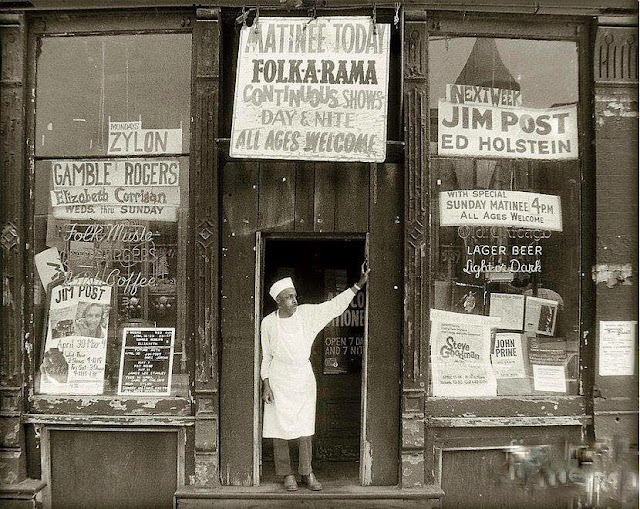 Folklore says the Jamboree inspired the Art Fair. The Old Town Triangle Association decided to hold an art fair they named “Old Town Holiday” in June of 1950 to raise funds for the Menomonee club. Shortly thereafter, the Art Fair's name was changed to the Old Town Art Fair which evolved into a nationally-known event. 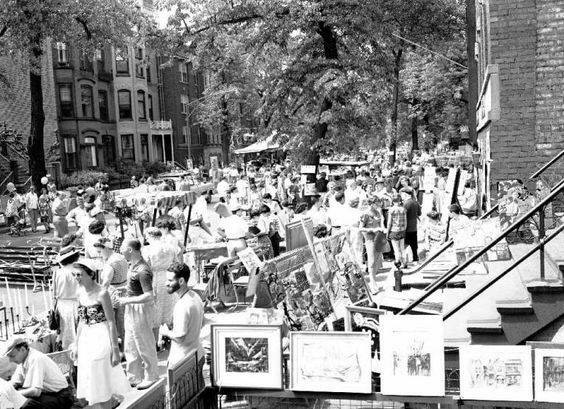 Old Town, Chicago, Art Fair, 1954. Helen Guilbert ran a short lived newspaper called "The Old Town News" beginning in 1957. In its early years, people didn’t go to Old Town on Wells Street (5th Avenue before the 1909 Chicago street renaming and renumbering)... they just went to Wells Street. 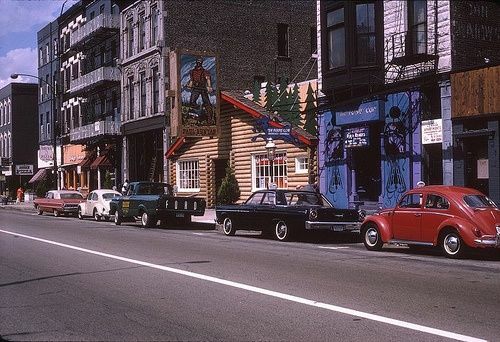 During the early 1960’s, when the commercial part of the area, the "Old Town" designation, was commandeered. The residents in the area were not happy and considered changing the name of “The Triangle” to "Old Town" until they realized that they had owned that designation first. To clairfy; The Triangle = Old Town and vice versa. The residents went as far as changing the direction of streets (St Paul, and Eugenie) to one way going east to spare themselves the horrendously large volume of auto traffic on Wells. 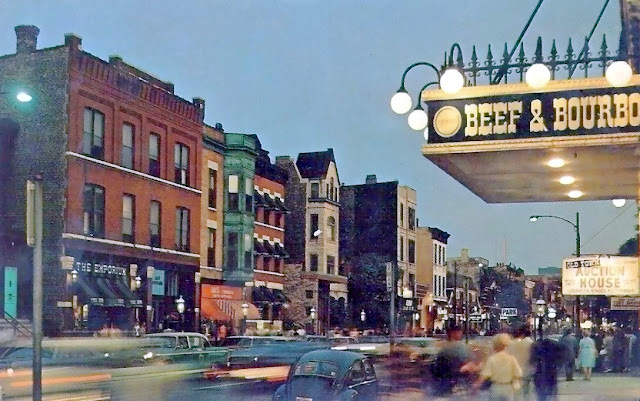 In the 1960s there was so much Friday and Saturday night traffic, it could take 2 hours to drive either way North Avenue to Division Street or Division to North Avenue. 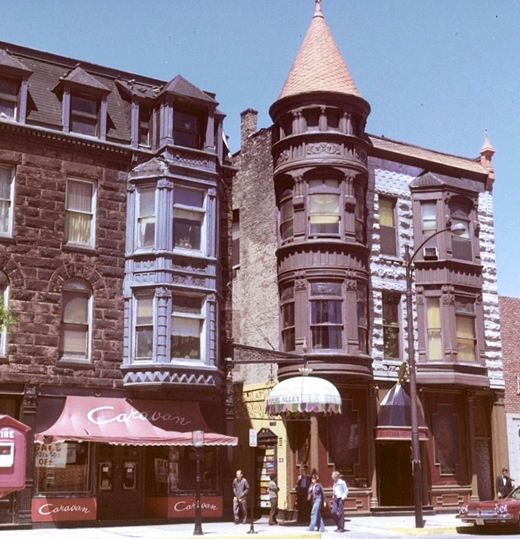 Wells Street turned into Old Town's main street sometime in the early 1960s. 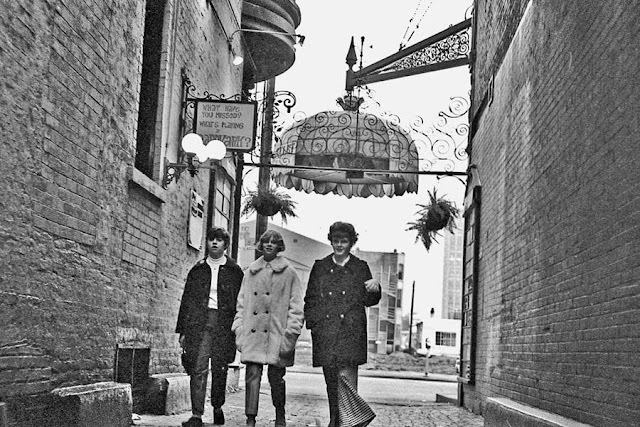 Rumor has it that the Old Town School of Folk Music, founded in 1957, was the catalyst for the retail development of Wells Street as musicians flooded into the area, drinking and entertainment establishments flourished and retailers followed. 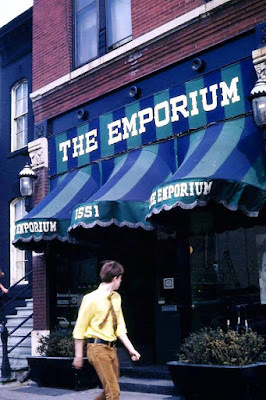 In an age when people were fleeing the city for the suburbs and then urban renewal was leveling nearby areas, local small business owners dug in and Old Town became a medley of bohemian artists, trendy shops, flashy tourist spots, bars and taverns, museums and lots of restaurants. Guilbert ran a short lived newspaper called "The Old Town News" beginning in 1957. 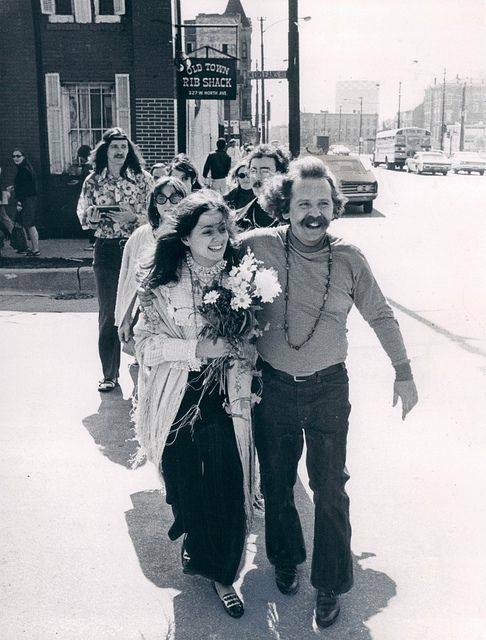 In the late-60s, Old Town became Chicago's hippie haven. Maiden Lane at 1525 N. Wells Street, a shopping center that fits almost none of the conventional ideas of what a shopping center should look like opened May of 1966 with space for 20 shops. 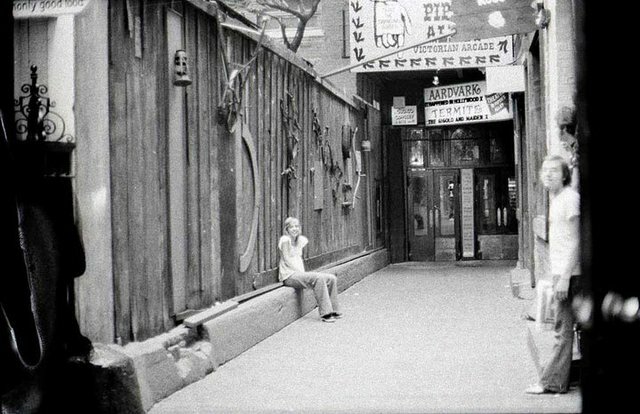 Maiden Lane was once a garage owned by Henry Susk of Susk Pontiac. 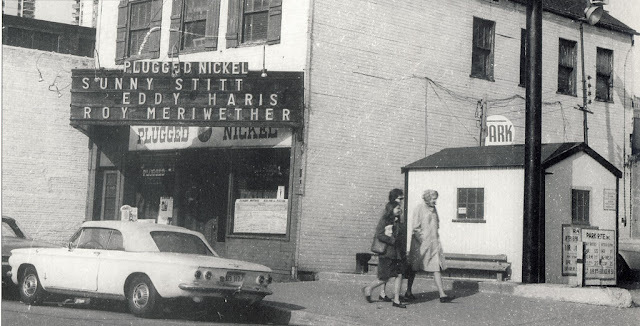 Susk found the garage was being surrounded by the gift shops, antique stores, restaurants, and bistros that have changed the character of North Wells. 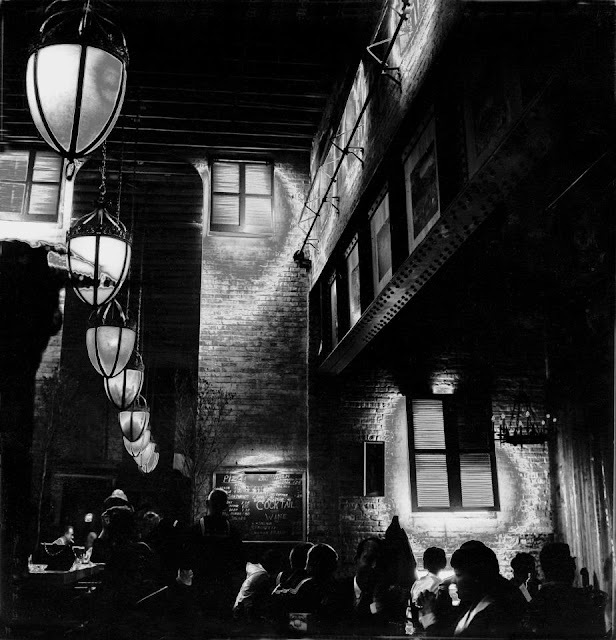 He decided the building could be remodeled to create the atmosphere of the Old Maiden Lane section of London. A "lane" now runs thru the center of the building, lined with small shops reminiscent of London. Old English gaslights add to the illusion. Near the rear of the building the lane widens into a square with a fountain. Frank C. Wells, senior vice president of L.J. Sheridan & Company, Maiden Lane's leasing agent, said this may be one of the smallest shopping centers the firm has ever assisted in developing and leasing, but it is also one of the most interesting. Actually, Wells pointed out, Maiden Lane follows the latest concepts of shopping center design, including a heated covered mall, outstanding shopper circulation, and distinctive architecture. There are no giant department stores there, but you will find Granny's Toy shop, the Tye shop, the Smugglers Gift shop, Wiggery, and other interesting shops. Piper’s Alley was opened in November of 1965 by Rudolph Schwartz and Jack Solomon, owners of the five buildings making up the 15 shops that once made up Piper’s Bakery and stables. A giant Tiffany lamp hung outside the entrance to the maze of unusual retail shops. The businesses (during different periods of time) in Piper's Alley had names like the Bratskellar, Bustopher Jones Boutique, the Peace Pipe, "In" Sanity party goods store, the Glass Unicorne, Jack B. Nimble Candle Shop; Off the Hook decorator items, the Hair Shoppe, Aardvark Cinematheque movie theatre, the Caravan handcrafts store, Personal Posters instant immortality - photos to poster in 15 minutes, Charlie's General Store, Volume 1 Book Shop, the Jewelry Shop, Arts international Gallery, the Flypped Disc record store, the Sweet Tooth old fashioned candy, La Piazza Restaurant, Peace Pipe, Design India, Poor Richards, Male M1 Men's Shop, the Hungry Eye, Two Brothers, and Ye Olde Farm House restaurant. 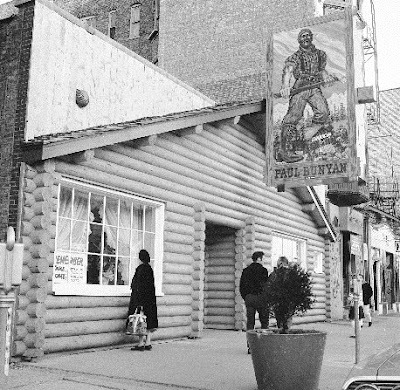 That Steak Joynt was said to be haunted as customers and staff members reported bizarre, supernatural experiences there for years. 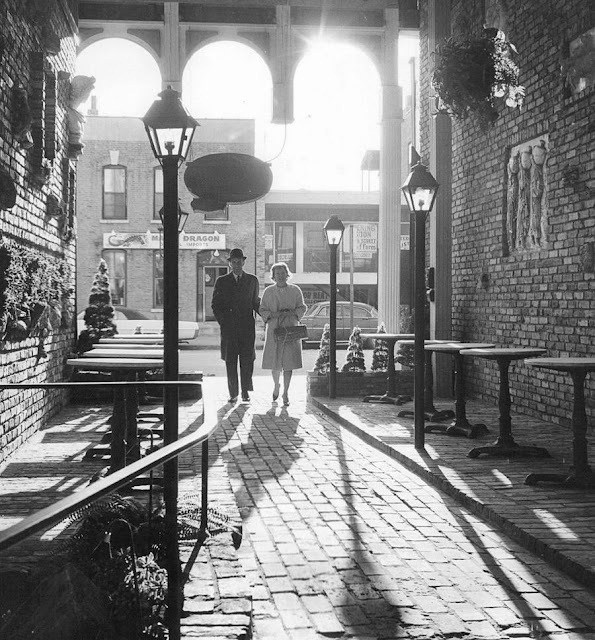 Customers walked down a brick alley lined with antique lamps. Besides the restaurants in Piper's Alley, other Old Town choices included the Chances R restaurant, famous for their burgers and allowing you to throw the peanut shells on the floor. The restaurant's name reflected the uncertainty of this first location in Old Town. "Chances are we could go broke," the owners reportedly said among themselves. 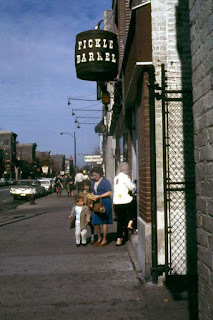 The Pickle Barrel restaurant offered a small barrel of pickles and a bowl of popcorn at every table and a balloon artist wandering around the restaurant. 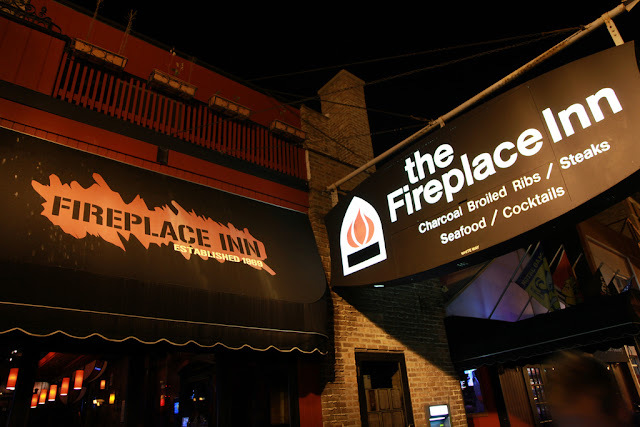 The Fireplace Inn restaurant and bar featuring charcoal broiled ribs, steaks, seafood. 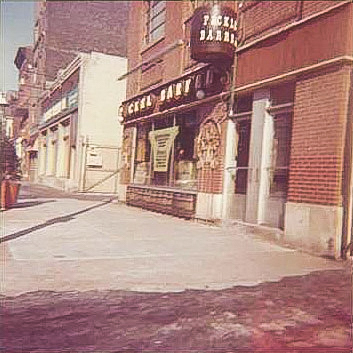 There was the Paul Bunyan restaurant, bakery (home of the 12" cookie) and Buzz Saw Bar, the Golden Dragon Cantonese restaurant, the Stage Coach Restaurant and Snack Shop, The Pup Room - Red Hots and Hamburgers restaurant, Beef & Bourbon restaurant, La Strada restaurant, Old Town Rib Shack, and least we forget Lum's Restaurant which was on the southwest corner of North Avenue and Wells Street. 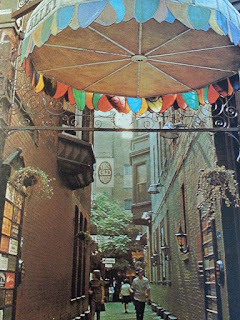 It was home to the famed Second City Theater, Uno's Bizzare Bazzar head shop, The Fudge Pot, the Town Shop, Madge women's clothing store, Parlor Jewelry, a penny candy shop, the Wick-ed Shoppe - a candle store, and the Man at Ease - men's clothing store, Old Town Gate, the Old Town Auction House, the Oriental Gift Shop, Toptown clothing, Old Town Shop, The What Not Shop, and the Old Town Aquarium. 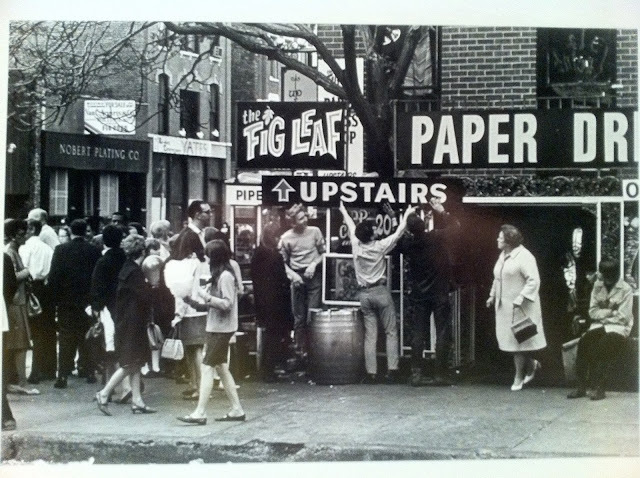 The Fig Leaf and Paper Dress Store. The original Crate and Barrel store was on Wells Street where they displayed the glasses and dishware in wooden barrels and crates filled with straw. 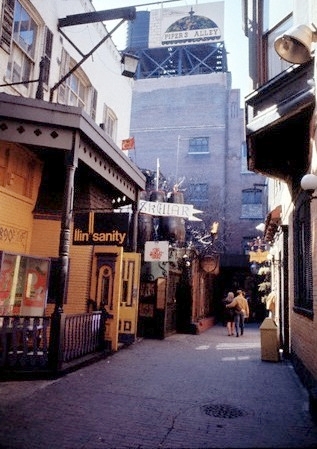 The House of Horror was a spooky, creepy place for a kid to see. I had nightmares. 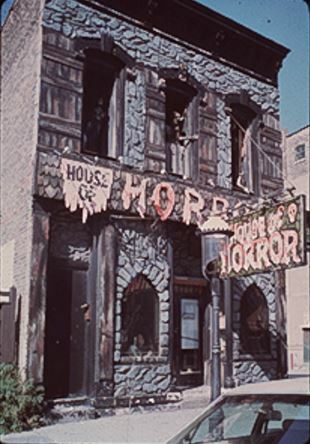 House of Horrors was close to Lum's, across the street from the Emporium. 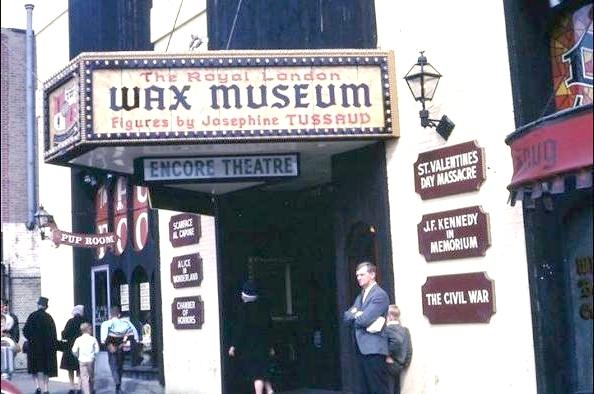 The Royal London Wax Museum (figures by Josephine Tussaud) was at 1419 N. Wells Street and included lifelike figures of Chicagoans Ernie Banks, Hugh Hefner, Al Capone and the St. Valetines Day Massacre, and figures from the Civil War. 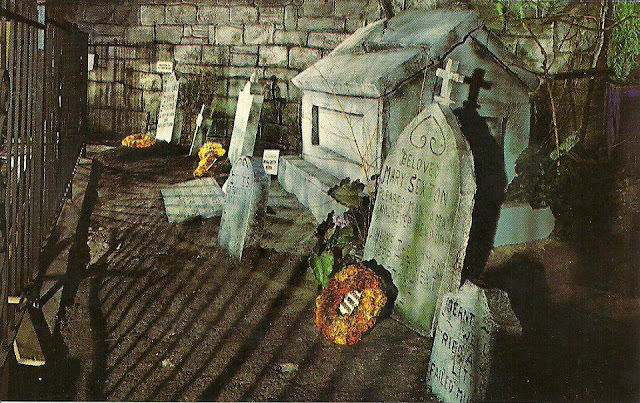 The Chamber of Horrors featured replicas of Dracula, the Wolf Man and Frankenstein while the fantasy room contained Pinocchio, Cinderella, Rip Van Winkle and Alice in Wonderland. 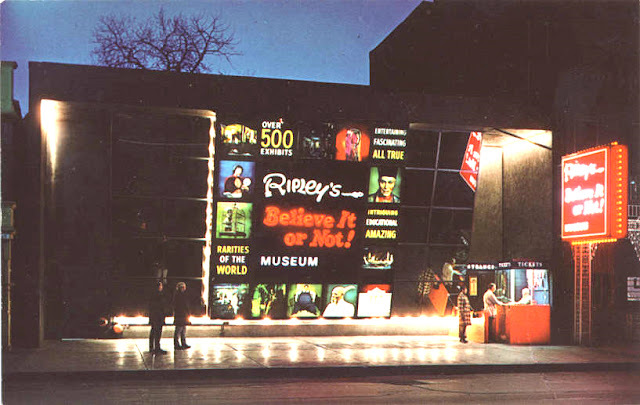 Ripley’s Believe It or Not Museum at 1500 N. Wells Street opened with a party on the evening of November 21, 1968. Reportedly, more than 500 people showed up. Visitors were greeted with an optical illusion in the lobby. A giant floating faucet seemingly suspended in mid-air, the faucet spilled out a thick and endless flow of water into a pebbly pond. It was a simple illusion. 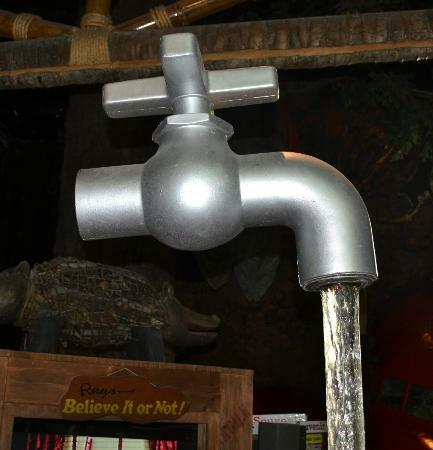 A tall, transparent pipe held the faucet in place at the nozzle, blasting water upwards that immediately gushed back down the sides covering the pipe. Photo not from the Chicago Ripley's Believe it or Not! 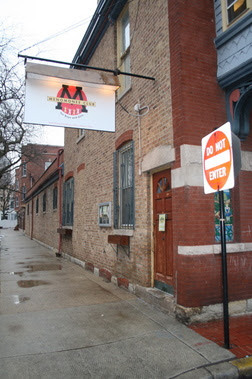 The Chicago branch contained 13 galleries. 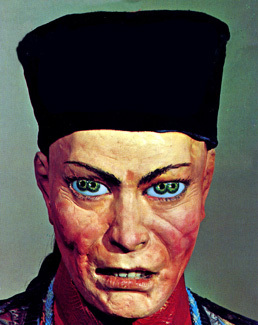 It included a circus room with its various freaks and mutations as well as replicas of Cleopatra's barge, a man who lived to be 160 years old and a mummified monk. 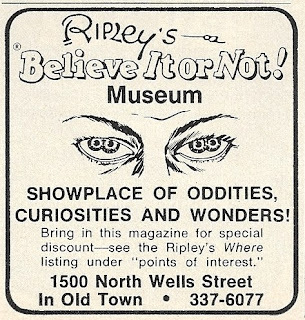 The museum closed in 1987 and auctioned off its exhibits. 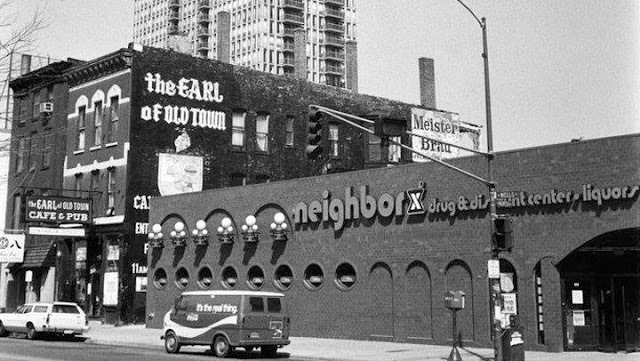 The Earl of Old Town Cafe & Pub at 1615 N. Wells Street was the fabled club that came to epitomize the Chicago folk scene and honed such home-grown talent as Steve Goodman, John Prine and Bonnie Koloc opened in 1962. 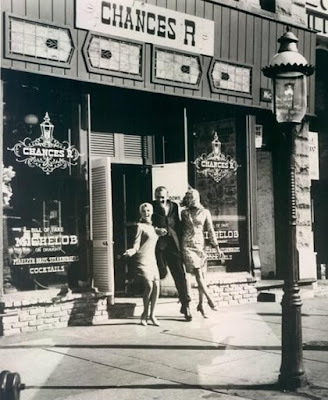 Owner Earl Pionke didn't introduce music, however, until 1966. 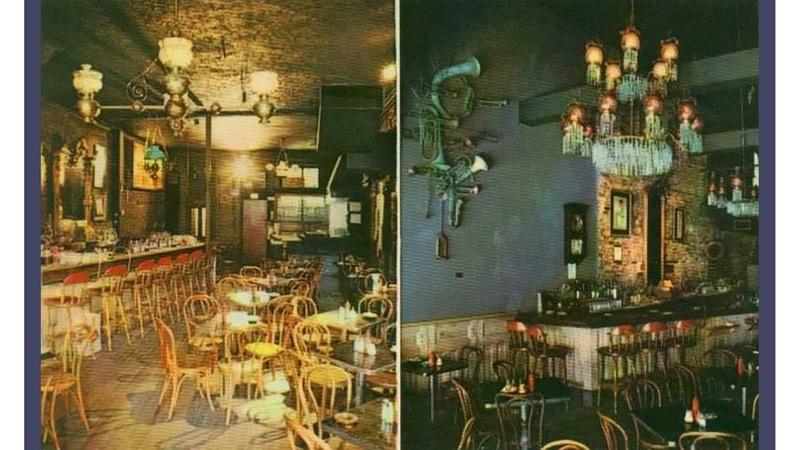 Several years later, Pionke opened a larger club, the Earl of Old Town on Harlem in Norridge. It closed four years later when the folk boom petered out. 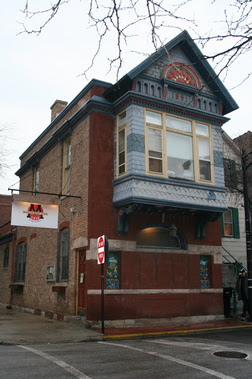 In late 1983 Pionke switched to a blues format and changed the name of the club to Blues at the Earl. And there was the Old Town School of Folk Music. 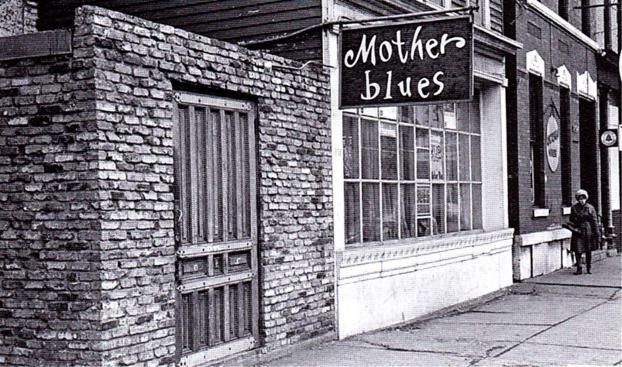 Mother Blues, the Purple Cow, the Crystal Pistol, Quiet Knight and the Plugged Nickel were other very popular music venues. LIVE - Miles Davis Quintet at the Plugged Nickel Club, Old Town, Chicago, Illinois. 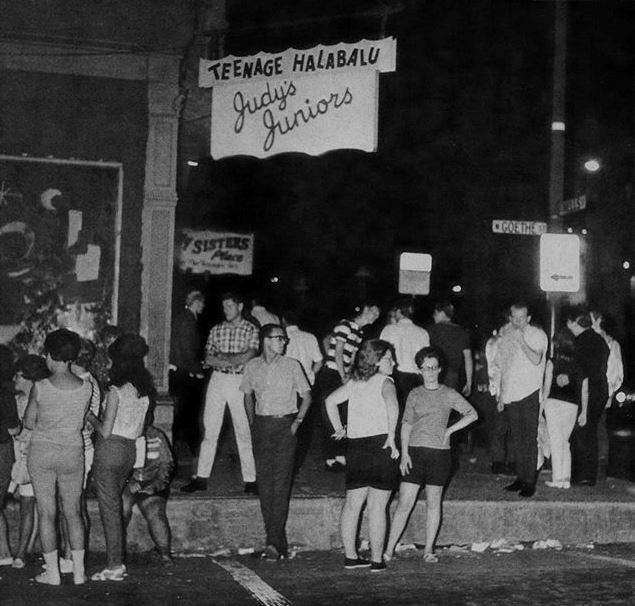 Old Town also catered to the under 21 crowd with dance clubs; Judy's Juniors, Like Young and My Sister's Place. 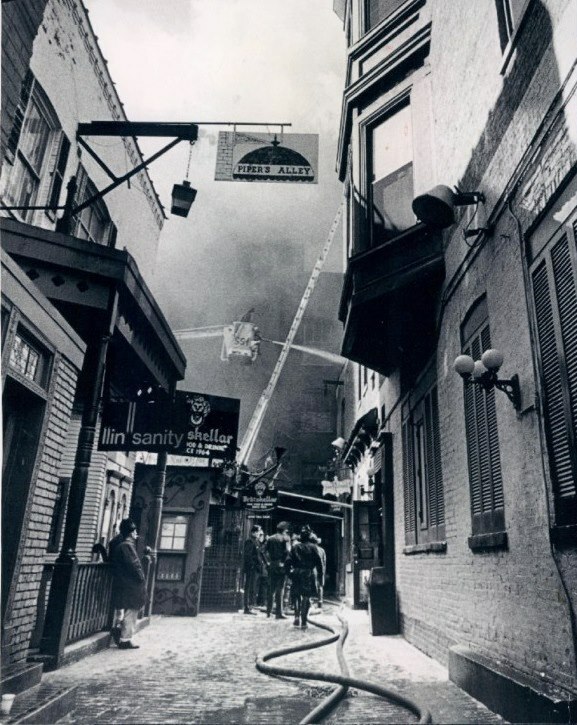 The Fire at Piper's Alley, March 1, 1971. 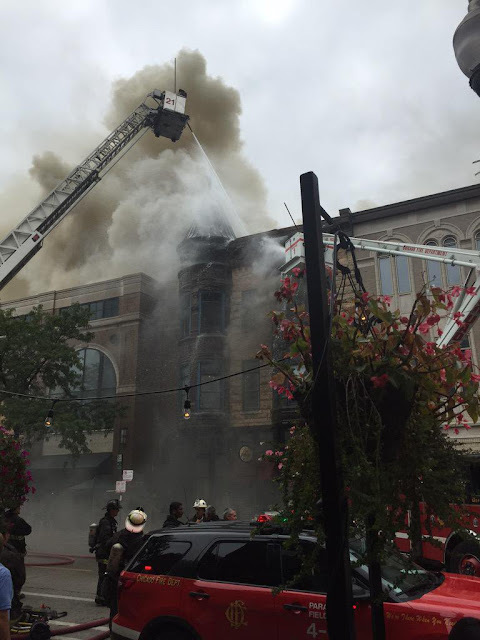 On Wednesday, August 26, a fire ignited inside of a grease chute above the kitchen in Adobo Grill on Wells Street in Old Town. 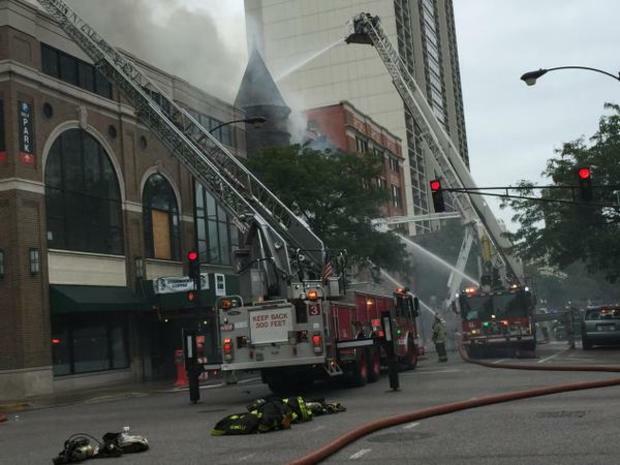 The fire spread to the building housing The Second City, a comedy club and school of improvisation, destroying offices and memorabilia from alumni. Months after the accident, the community is still cleaning up the mess. Firemen said all the shops on the first floor suffered smoke and water damage. The buildings were estimated to be worth $1½ to $2 million dollars. On top of repairing fire damage, Second City is enduring construction in part of an expansion. Building onto what used to be the movie theaters in Piper's Alley, they have gutted all that and put in new stages. The expansion of Second City will be huge. Thank you David Pfendler, Archivist for the Old Town Triangle Association, for the early history of the Old Town area. I'm glad you enjoyed the article Rich. Holy Name of Mary grammar school went to the Wax Museum and Ripley's every year. 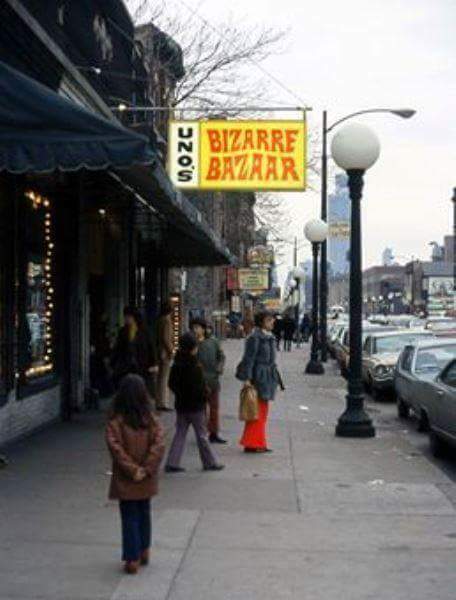 When I got to high school, I ventured into places such as Bizarre Bazaar and The Smuggler for t-shirts, black light posters, and strawberry rolling papers. 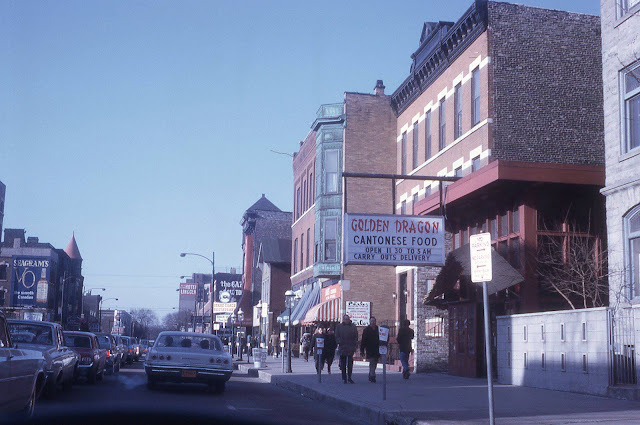 I had some of the best times of my younger life in Old Town including many a late night at the Golden Dragon after Dingbat's on McClurg Court closed at 2:00am. 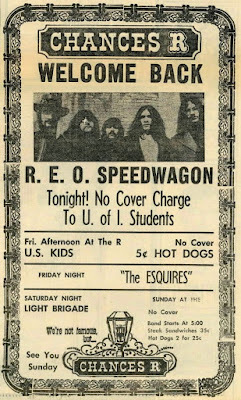 The Dragon was open until 5:00. Sweet memories. Great photos. I used to work at a store called The Man At Ease, 1701 N. Wells in the late 60's and early 70's and my brothers ex-father-in-law had a paper dress store in Pipers Alley. Man At Ease is mentioned in this article. Do you remember the Paper Dress Store's name Steve Bell? Yes, I thought it would catch on and would have paper everything. Hello Steve. You probably don't remember me, but I worked at The Man at Ease with you briefly in 1969, along with George Azelickis and Jerry Botham and various others. Now I teach English in Austin. Again a great article Neil. Brought back so many memories. I was so surprised and excited to read your blog. 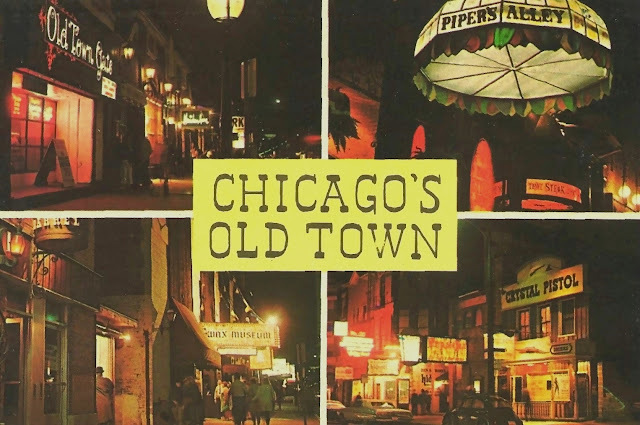 Moved to Chicago from California and happy to be here.I want to see "old town " thanks for the memories. 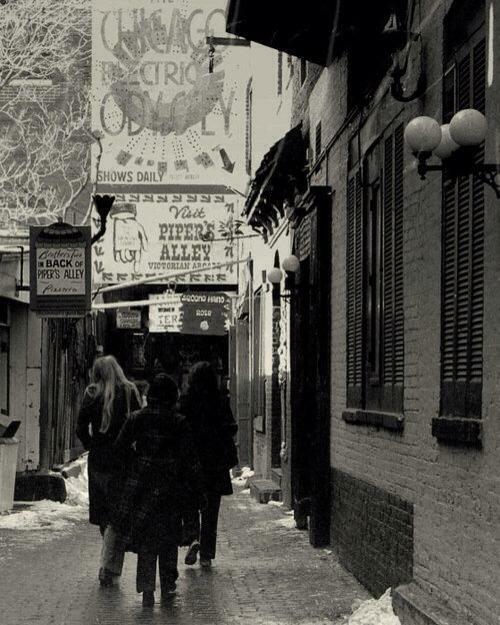 I loved going to Old Town and Piper's Alley in the late 60's. I bought a paper dress there and also huge paper flowers. And I loved watching the glass blower through the window as he made all his creations. 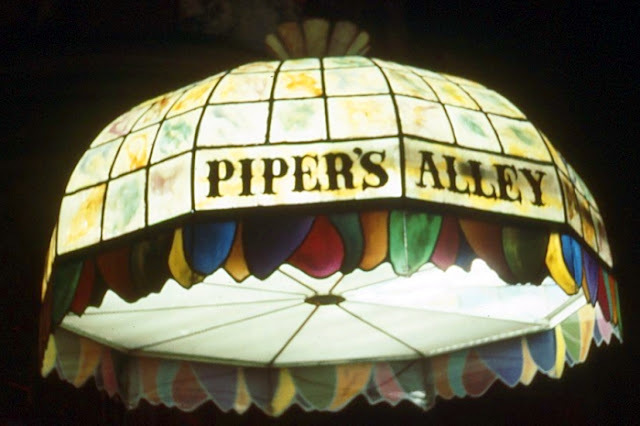 I purchased a pair of green glass elephant earrings in Piper's Alley. In Old Town I purchased a suede fringed vest. I was in high school at the time and wore my suede choker and peace love beads. Good times for sure. Thank you for the wonderful memories. 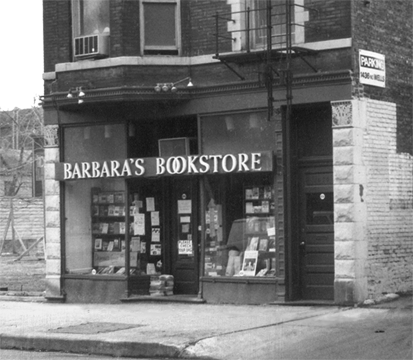 I used to go to a small store on the south end of Old Town called "The What Not Shop" . A wonderful place to wander. You never knew what you might discover there. Wow. Memories! I first worked at Bizarre Bazaar in about 1974. 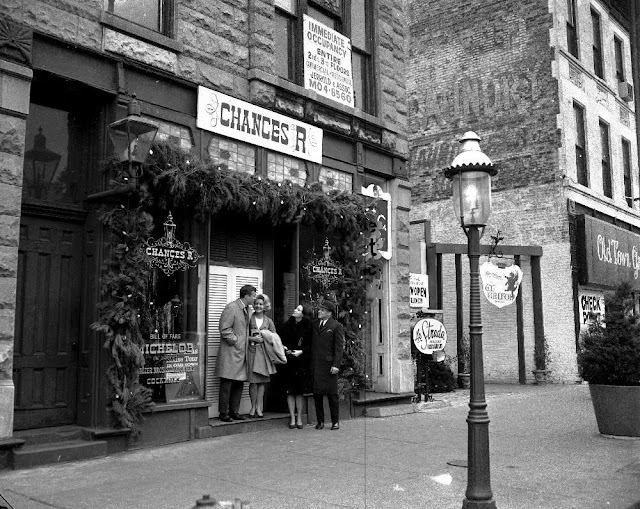 Then at the Hair Place and also a jewelry store also owned by Sherman across from the restaurant on the south side of Piper's Alley, before the swinging doors. Robin was a waiter there and I'd eat a baked potato every day for lunch. I still have a red glass tulip candleholder from the candle shop inside and ran into Sinclair a couple of years ago at an O'BAnion's reuniion on the west side. My dad used to love to sing at Punchinillos (sp?) don't see any photos of it ? I thought it was in Old Town / Piper's Alley area ???? 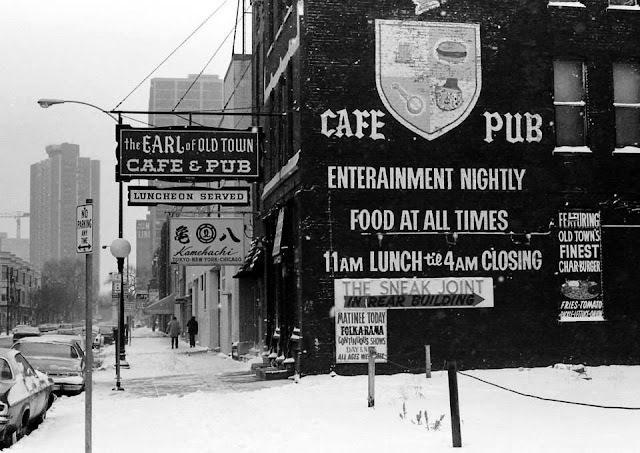 any more pictures of 'OLD TOWN GATE" Earls 1st pub & his main stay was Earl of Old Town, interested in any more photos of old town gate......not many were around. 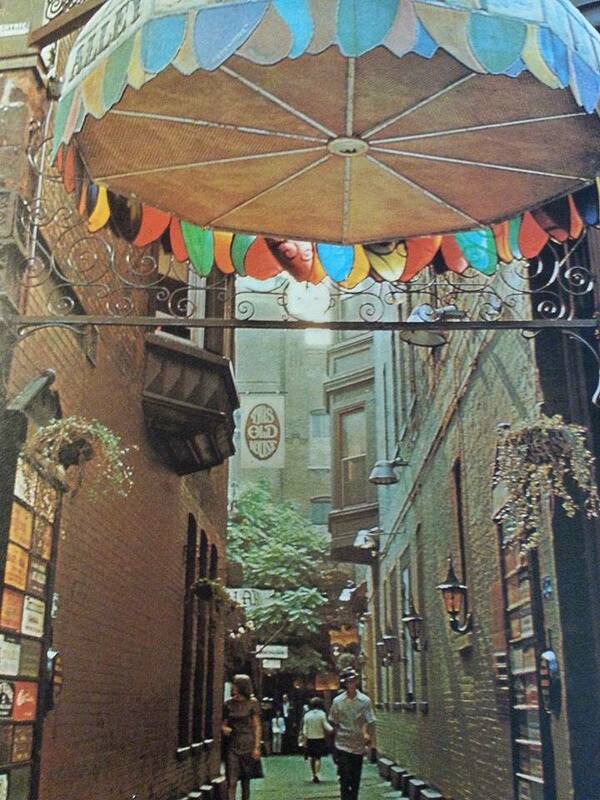 Does anyone remember a clothing boutique on the west side of wells st just north of schiller? I can't remember the name. I believe the chocolate chip cookies were humongous at 12 inches in diameter. 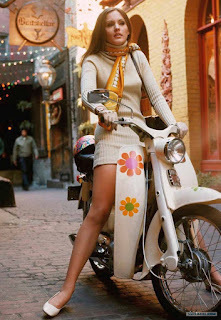 The "mod" fashions of the Man at Ease store made me a hit back in my suburban high school. 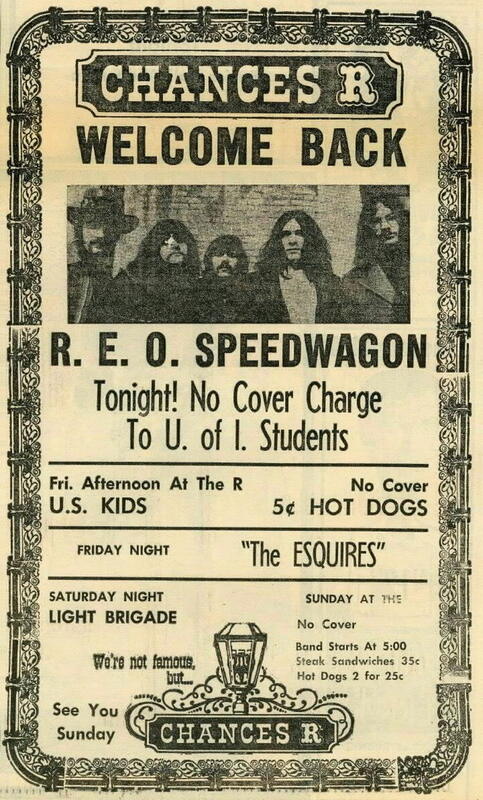 Brought back so many happy memories from 67-68! Thanks! It bothers me that the map represents the area north of North Avenue, but so many of the businesses were south of North Avenue on Wells. 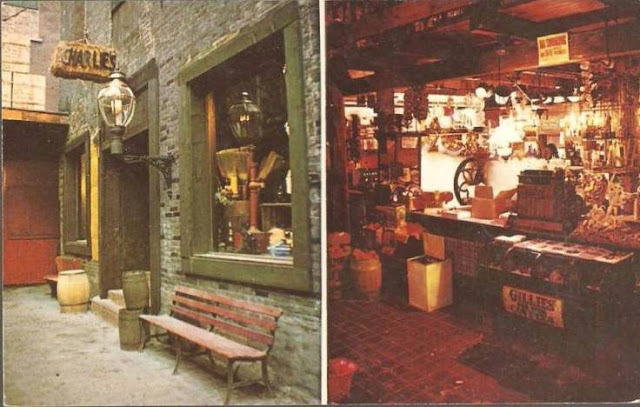 My dad had a shop in Pipers Alley, John Brown's Leatherworks. It was right before La Piazza. 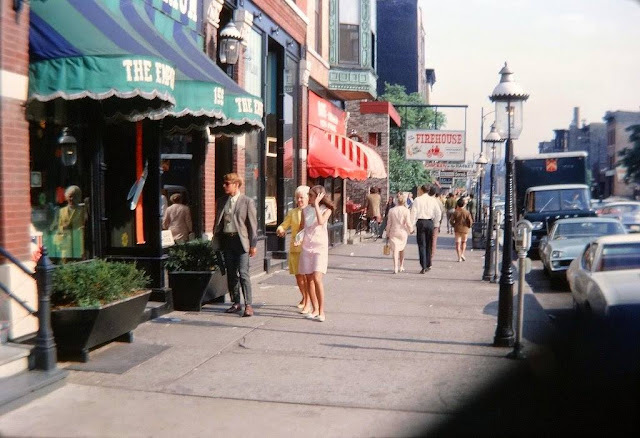 My mom took me to Old Town on North Wells in 1966, visiting from Minneapolis. 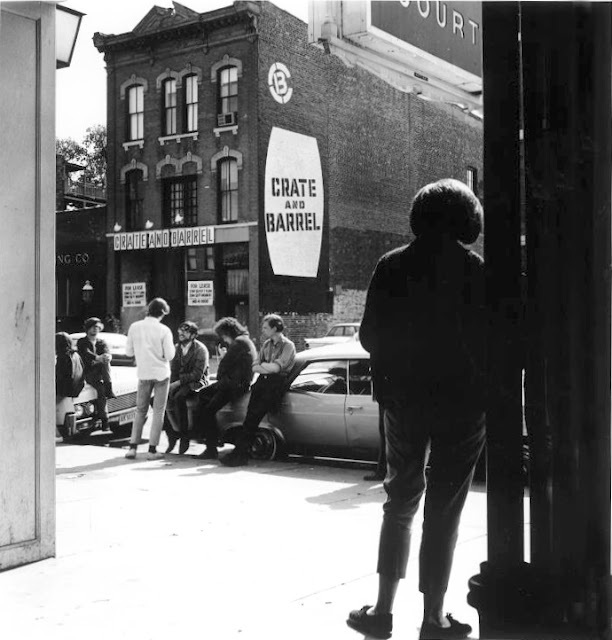 The area and the "scene" made an indelible impression on me that reminds vivid to this day: Crate and Barrel, Chances R, Piper's Alley. Minneapolis caught on to the scene and became even more "hip" than the Windy City. Far out! Many good memories and thanks for the wonderful pictures. That area was groovy. Illinois County Boundaries Maps from 1790-1859. 30 of My Favorite Night Photographs of Chicago. The Evolution of the Skokie Lagoons. 1890s Cabin in Giant City, Illinois. The History of Chicago's Rear Houses. Looking East, Downtown Chicago, Illinois. Coal, the Technology that Changed Chicago. Lost Towns of Illinois - Brush Point, Illinois. Thunder Mountain Ski Resort, Chicago, Illinois.